Unique holder for eyeglasses or badge to wear around your neck. 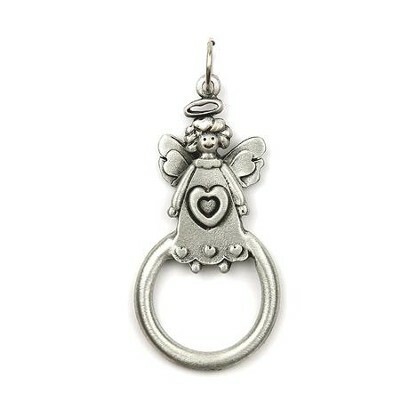 Features pewter metal angel design with heart and circle hook holder; 2" on 24" silver-tone chain with lobster claw clasp. I'm the author/artist and I want to review Angel with Heart Eyeglass and Badge Holder.